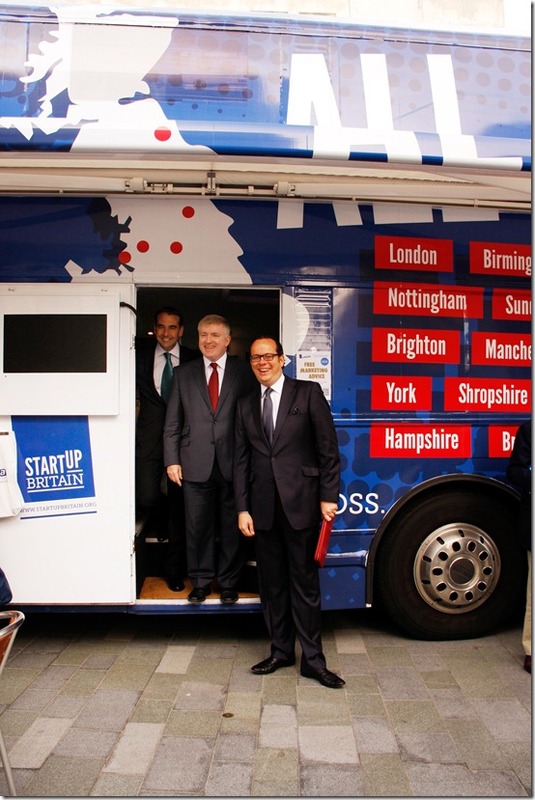 From the Summer Bus tour to Tech Week, Startup Britain is on the road again! Although the StartUp Britain Summer Bus Tour has regretfully come to a close, it has been an incredibly inspiring adventure. The tour began on the 22nd of August and finished on Friday 23rd of September. It attracted remarkable interest over the past few months and has successfully inspired thousands of individuals across the county, to start or grow a business. We have met such a variety of aspiring entrepreneurs, including students who need help turning their ideas into ventures, as well as employees who need the confidence to take the plunge into self-employment. In the final part of the tour, on Thursday 22nd of September, the StartUp Britain bus joined in with the Entrepreneurial festival of the year: MADE, which was designed to encourage businesses to network, learn and grow. The festival attracted around 3,000 people, including successful entrepreneurs and government ministers, as well as many up-and-coming business owners. Attracted people from as young as 4 to as old as 81! The StartUp Britain team thank our national sponsors, including Dell, who have helped make this Summer Bus tour such a success. However, the StartUp Britain campaign does not stop there! In the week commencing the 17th October, we are partnering with Dell and other Technology sponsors, to provide a week’s worth of free business growth seminars. If you would like to come along and learn more about how technology can help you, whether you’re starting your own business or looking to grow your business, don’t miss out and register today to attend our free events. We are delighted to incorporate the Dell Solutions Tour as part of ‘Technology 4 StartUp Britain Week’ on the 18th October. This event promises to be an exciting program about how to drive success and overtake your IT challenges with an Efficient Enterprise! Is Your Workforce Future Ready?